6 June’18 was a historic day for the villagers of Kojawada Panchayat. 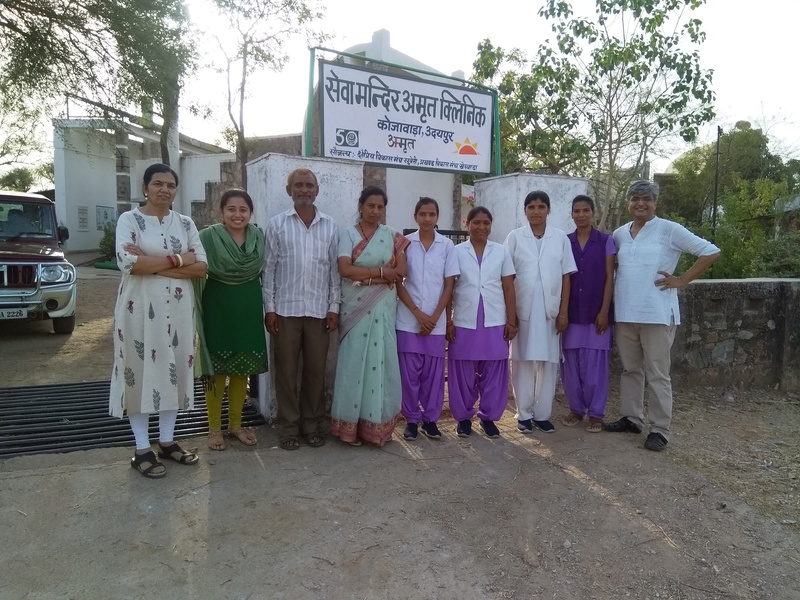 Basic HealthCare Services in partnership with Seva Mandir, an Udaipur-based organisation inaugurated the ‘Seva Mandir AMRIT Clinic’ replacing Seva Mandir’s earlier health facility -Apno swasthya kendra. 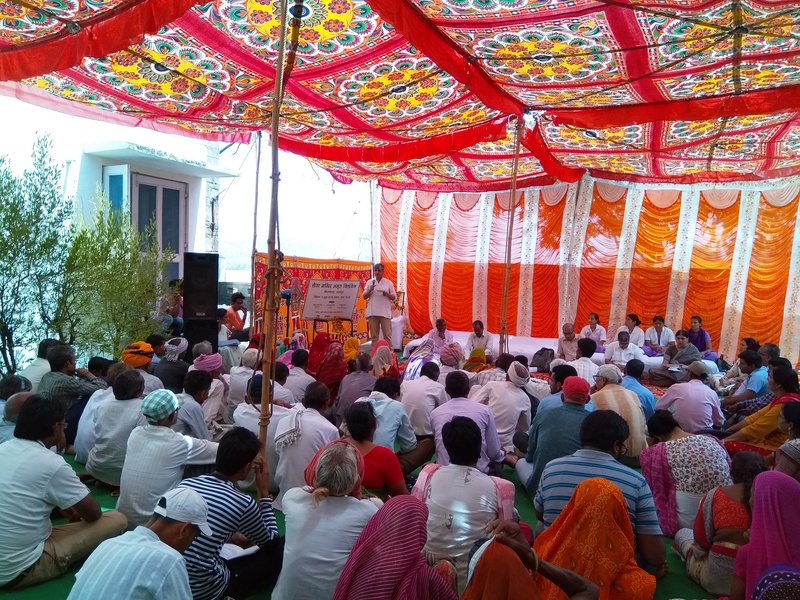 The AMRIT Clinic was inaugurated with full vigour and spirit with members of community sharing their hopes for receiving high quality care and treatment. Located around 75 kms from Udaipur in the Kherwada block, Kojawada has a population of 3081 with around 530 Households. The joint partnership of the two organisations is a step towards replicating the AMRIT Model in difficult-to-reach and underserved rural pockets. This joint initiative is a novel approach wherein infrastructural, logistics, training, quality assurance and doctor consultation will be shared between the two organisations. The Seva Mandir AMRIT Clinic at Kojawada aims to cover a catchment of 13000 population spanning across 4 Panchayats in Kherwada block. The Clinic will be managed by three primary healthcare nurses who have undergone intensive training in several key components of clinical care like: maternal and child health, managing deliveries, history taking, laboratory tests , drugs and protocols for disease management . Two health workers who belong to the community and trained in community engagement and approaches, will be supporting the nurses with the clinic outreach and community engagement activities. The Clinic was inaugurated on 6th of June’18 by Dr Pavitra Mohan, Founder and Secretary (Basic HealthCare Services), Mr Ajay Mehta, President (Seva Mandir), Priyanka Singh CEO (Seva Mandir). The inaugural event saw the participation of around 100 members of the community , key leaders of the Panchayat, local groups. The Clinic nurses shared about the value of the clinic and their presence, the clinic services and instilled faith in the community committing to serve with dedication. Members of the community expressed their joy in having a clinic providing services closer to home and round the clock. With the hope for healthier times ahead, they pledged for early careseeking and also supporting the clinic in promoting its services. AMRIT Clinic is presently spread across 2 blocks of Udaipur district . With the initiation of Seva Mandir AMRIT Clinic, the services will expand to Kherwada block cumulatively accounting for a footprint of 65,000 population.